Psst! Ella has a secret. Her mummy is a fairy! She might look like any other pretty mummy, but she’s got heaps of magical tricks up her sleeve. What’s it like to have a fairy in the family? Well – it’s amazing! But sometimes it’s also quite chaotic, in a wonderful (and very funny) way. There’s a swimming pool full of ice cream. There’s the best birthday party ever. 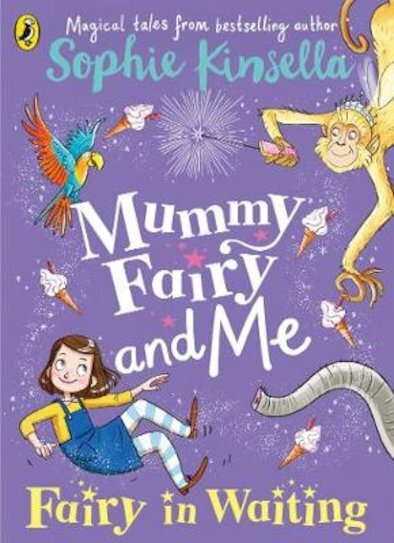 Plus a few sticky situations where Ella has to help her Mummy Fairy out. But how long must Ella wait until she also gets to be a fairy? Oh – and where did all those naughty monkeys come from?